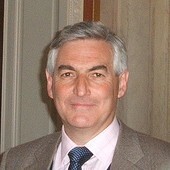 The Very Revd Professor Christopher Hancock is Director of Oxford House, a high-level international academic consultancy that engages governments, corporations and NGOs on the role of culture, religion and ethics in contemporary geopolitics. Chris is an Asia specialist, having run research projects in Oxford and at King’s College, London on Christianity in China. He is a Visiting Professor at St. Mary’s University, Twickenham and has recently been closely involved with the US and UK governments on their engagement with North Korea. His new book Christianity and Confucianism: A Dialogue Between Cultures is due to be published by Bloomsbury in 2018.